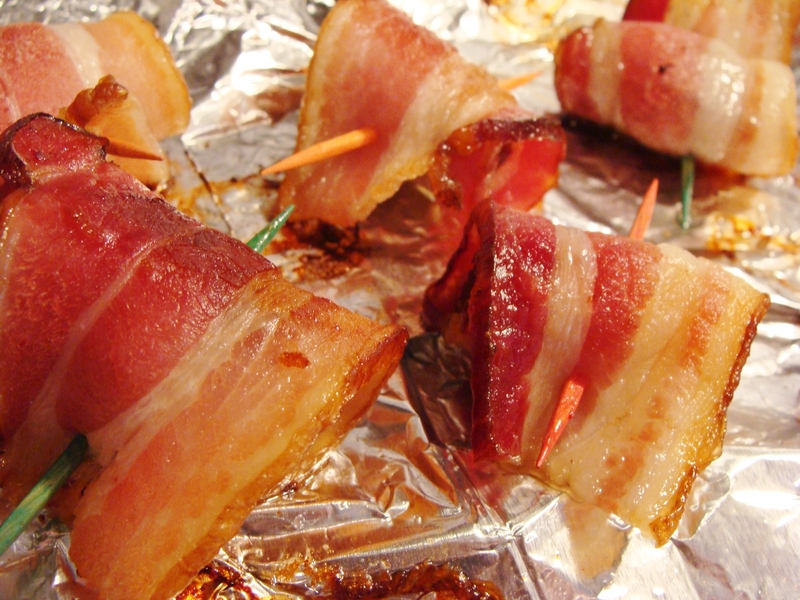 I finally decided to make my own bacon-wrapped dates. I have paid good money for these little guys in restaurants and decided to see how easy they could be to replicate. Turns out, it’s really easy. And ohmygod they are so good…and seem to really impress dinner guests. Just saying. Preheat oven to 350 degrees. Cut strips of uncooked bacon into halves or thirds. Wrap each bacon piece around a date. Pierce each with a toothpick. Line a baking sheet with foil or parchment paper. Cook for 15-20 minutes, until bacon begins to sizzle and is cooked to your liking. 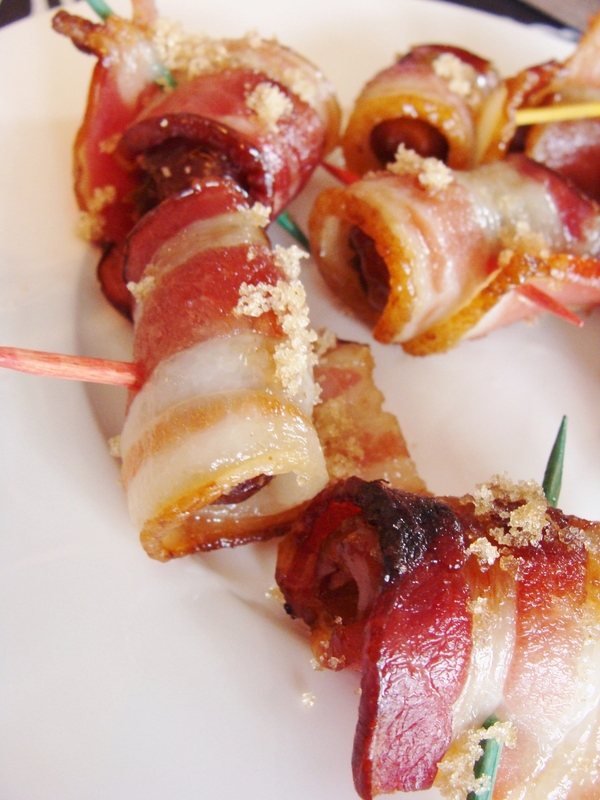 After removing from the oven, dust the bacon-wrapped dates with brown sugar. « manicotti with mushrooms, spinach, and ricotta. 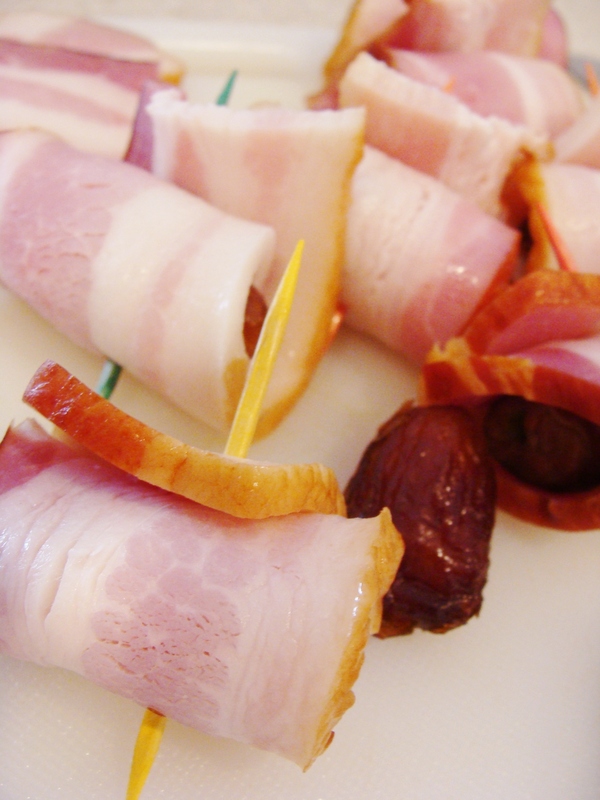 You are currently reading bacon-wrapped dates. at The Cheesy Kitchen.